Awaken your most sensual side in an exotic Rondoval with its soaring 20-foot conical roof and spacious circular floor plan; or laze in the luxury of a 1400 square foot Mediterranean villa — both with private plunge pool and your own butler. Unwind in the East Caribbean’s largest pool (one of six). Celebrate the high art of food and drink with world-class faire and intimate settings at nine restaurants and eight bars including an English pub. A night out at Sandals Grande Antigua resort and spa is really like a night out on the town. Whether you’re dining on classic Italian, sumptuous sushi, or a sizzling steak, Aphrodite presides over every meal as you share the most romantic vacation of a lifetime. Your all-inclusive Antigua vacation awaits in two perfect worlds, found in one grande resort — all designed for love. 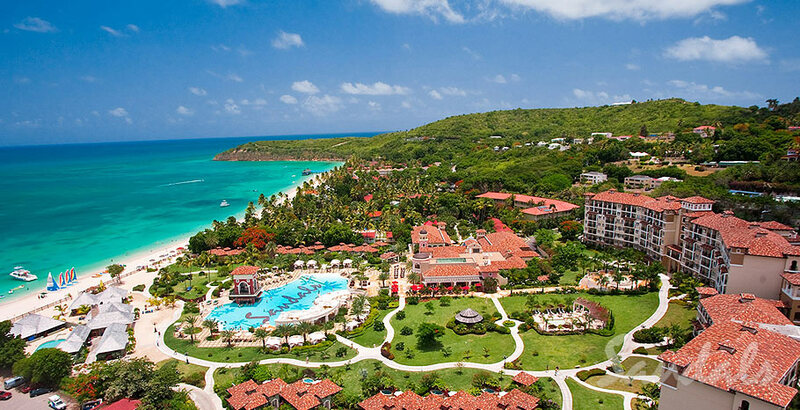 Find out more about Sandals Grande Antigua Resort & Spa.